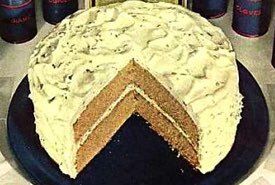 Grandma's old fashioned applesauce cake recipes make a superbly moist dessert cake with the unforgettable flavor of apples and spices. And they're even nicer when the applesauce is homemade, so I've included an easy recipe to make it. 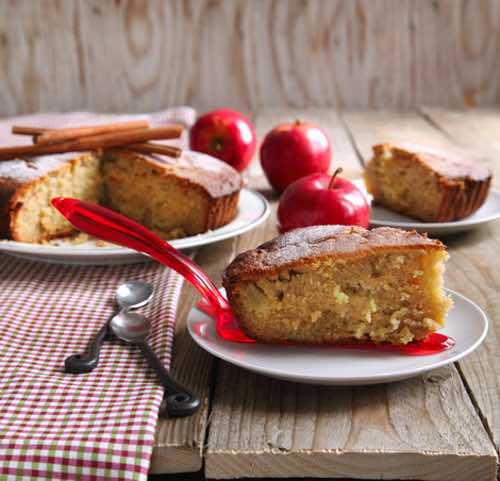 You will love the wonderful spicy apple fragrance wafting throughout your kitchen while they bake. You will close your eyes and imagine you're in Grandma's old farmhouse kitchen. 3 tablespoons molasses are sometimes added. Bake in a loaf pan in a moderate oven (about 350°F) till done. Dust with powdered sugar to decorate. Bake in a moderate oven (350°F) till done. Directions: Cream butter and sugar thoroughly, add egg beating well. Add flour mixture alternately with applesauce, beating after each addition. Add raisins and nuts last with flour addition. Mix in baking soda dissolved. Bake in greased loaf pan for 1 hour at 325°F. Peel, core, and slice the apples, put them into a saucepan with the sugar, butter, and a very little water, and cook them until tender. Add more sugar if necessary, before serving. I recently acquired two recipe boxes full of old recipes going back 50 to 60 years ago. This recipe for old fashioned applesauce cake was one of them. 1. cream shortening and sugar till fluffy. 2. Beat in egg, then applesauce. 3. Mix and sift flour, baking soda, salt, and spices together. 4. Stir in alternately with water. 5. Bake 45-50 minutes at 350°F, minimally, in greased and floured 13 x 9 x 2-inch oblong pan. 6. Cool on rack and frost as desired. 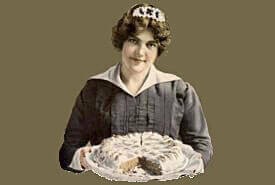 Enjoy trying an old fashioned recipe for applesauce cake from Grandma's day. These are moist and delicious cakes, so be sure to store them in a covered container after you've baked them so they don't dry out. You're going to love them. Applesauce cakes are famous for being moist and flavorful, especially when they're made with homemade applesauce (see the easy recipe above). Even after a big meal, you'll always find room for a generous slice. 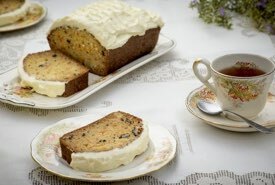 And not only will these cakes make your dinner party special, but they are also the perfect treat to serve when you want to enjoy a quiet coffee break with a close friend. Comfort food, pure and simple. Why not make one tonight?